Ah, love sweet sitcom-engineered love. 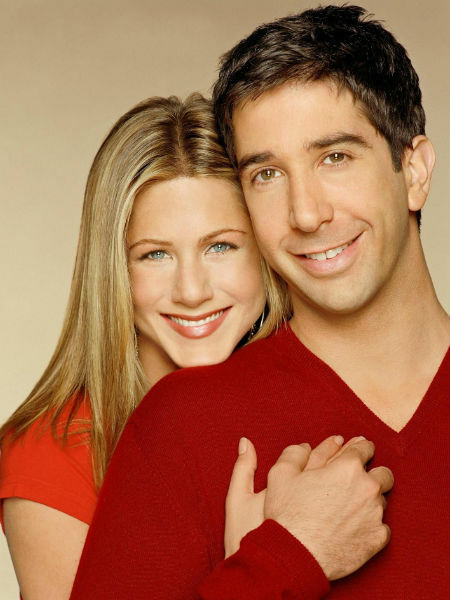 Ross and Rachel were the emotional will-they-won’t they centrepiece of the Friends sitcom, which ran from 1994 to 2004. While you could argue that theirs was a wholly unhealthy dynamic, those of us with a more romantic view of the world, including hosts Debra Minoff and Susannah McCullough of The Take (and me, not surprisingly)- which you can, and should, sponsor through Patreon – prefer to think that they, like so many other great couples, simply took their time to find their place in space and time. They acknowledge that while their love wasn’t always perfect, and obstalces aplenty fell in their path always constantly, there was definitely something enduring between them, a love that was, yes, worth waiting for. In a world where love increasingly feels like a throwaway foot to roiling hate and intolerance, it’s heart-affirming to focus on the power it has to change lives and to bring people together, even if it takes 10 seasons of a classic sitcom.